These pigweeds have developed seed heads. Make sure to clean your fields of weed escapes well before they reach this reproductive growth stage. Weeds typically stop growing once soybeans approach dense canopy closure, but this does not mean you can stop worrying about weed management. It is still important to remove any weeds that survived your herbicide application to prevent them from producing seeds and developing into a bigger problem next year. The University of Minnesota Extension says that a few weed escapes will likely not affect soybean yields this season. But, the presence of just 1 weed can make weed management more difficult in the future. 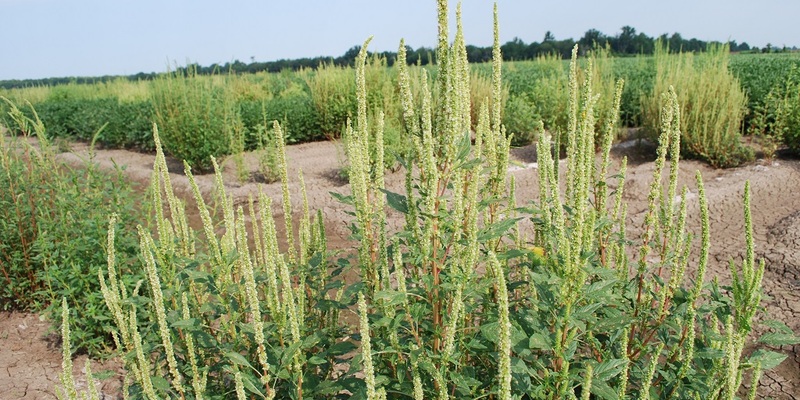 The Purdue University Extension says Palmer amaranth can produce at least 100,000 seeds when in competition with a crop and almost 500,000 seeds in non-competitive scenarios. If escaped weeds get the chance to produce seed, they can increase your risk of resistant weeds appearing in your fields as early as the next year. So, what can you do to manage weed escapes in your field? It may be too late to spray a herbicide to manage weeds now, but you can still control escapes with methods like cultivation or hand-pulling. If the weeds you pull have flowers or seed heads, make sure they are bagged, removed from the field and destroyed to ensure there is no chance for them to spread. As harvest approaches, remember that your combine and other equipment are known for spreading mature seeds. Be sure to thoroughly clean your equipment as you move from field to field. It’s not too late to take the necessary steps to more effectively manage weeds this season and into the future. Taking the time to remove just 1 weed could help prevent resistance development and save you a big headache next year. For more tips on how to win the battle against resistant weeds, visit ResistanceFighter.com.